A person’s job is a large part of their life and who they are. When they are not treated fairly, it can have a major affect on them and those important to them. We take our job of protecting and advancing employee rights seriously. If you’ve been treated poorly in the workplace, contact an employment lawyer that serves Hacienda Heights . When an adverse employment action is taken against you (such as sexual harassment, denied overtime pay, termination, or demotion) the statute of limitations begins to run and could jeopardize your case if you don’t act quickly. Call to speak with one of the Hacienda Heights lawyers in our firm to understand and secure your rights to money damages. Attorney Branigan Robertson has experience handling a wide variety of employment claims and lawsuits. He brings a unique perspective to the representation of unpaid and harassed clients. He fights fast and hard and tries to settle the case fairly without subjecting his client to years of tedious litigation. At Branigan Robertson, we aggressively protect the rights of employees throughout California. Because of our reputation for honest advocacy, many of our clients come to us as referrals from other lawyers. Mr. Robertson focuses his professional efforts on the employee. He does not represent employers in workplace disputes. Let us help you with your employment case. Call us or use our online contact form to get in touch with our aggressive Hacienda Heights employment attorneys. 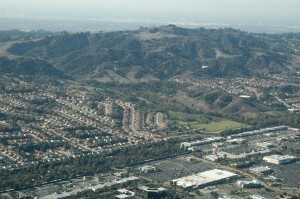 We provide services throughout Southern California.